China is poised to become a major strategic rival to the United States. Whether or not Beijing intends to challenge Washington’s primacy, its economic boom and growing national ambitions make competition inevitable. And as China rises, American power will diminish in relative terms, threatening the foundations of the U.S.-backed global order that has engendered unprecedented prosperity worldwide. 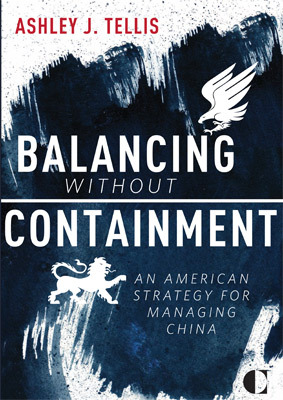 To avoid this costly outcome, Washington needs a novel strategy to balance China without containing it. The loss of American primacy to China would pose unacceptable risks to the security and interests of the United States and its allies. China’s power—unlike that of previous U.S. competitors—stems from Beijing’s deep integration in the U.S.-led global economy. The containment strategy that the United States used to great effect during the Cold War cannot succeed today. Cutting off ties with Beijing and urging China’s neighbors to do the same is politically, economically, and practically unthinkable. Washington should balance Beijing’s growing capabilities by pursuing policies that simultaneously increase China’s stake in the existing global system and raise the costs of abusing its power. Bolster Regional Actors. By increasing the national power of China’s neighbors, the United States can constrain Beijing’s behavior and limit its capacity for aggressiveness. This investment is in Washington’s best interest irrespective of whether it is repaid in kind because it will diminish China’s ability to misuse its growing strength and increase American geopolitical maneuverability in the Indo-Pacific. But the United States must be wary of Chinese tactics to subvert these efforts. Selectively Deepen Globalization. The United States should make trade liberalization a top priority. Since comprehensive global liberalization remains a distant goal, Washington should work to quickly conclude key regional trade pacts, including the Trans-Pacific Partnership and the Transatlantic Trade and Investment Partnership, which promise increased relative gains to the United States and its allies vis-à-vis China. Bolster U.S. Military Capabilities. To preserve its military superiority in the face of growing Chinese power, Washington should invest in improving U.S. power projection capabilities that will allow it to defeat challenges posed by China’s new strategic denial systems and regain U.S. freedom of action in the Indo-Pacific. Reinvigorate the U.S. Economy. Revitalizing the domestic economy is imperative to sustaining American hegemony. To maintain its global economic dominance, the United States must emphasize labor force renewal, promote disruptive technological innovations, increase efficiency in production, and resolve the political squabbles that prevent Washington from fixing the country’s public finances. Corporate greed and stupidity riding Republican political coat-tails has brought America to it's knees through outsourcing, union busting, Reaganomics, multiple Bush Wars, and breaking the laws of The United States Constitution as often as it suited the powers in charge. This picture is a product of Republican puzzle pieces. By stating that "By increasing the national power of China’s neighbors, the United States can constrain Beijing’s behavior and limit its capacity for aggressiveness. ......it will diminish China’s ability to misuse its growing strength and increase American geopolitical maneuverability in the Indo-Pacific. But the United States must be wary of Chinese tactics to subvert these" , establishment trade blocks excluding China and maintaining an overkill military posture to China, You expose America's unfriendly aggressiveness and revised containment of China. That is not good for world peace. prosperity and stability and can lead to world destruction.